John G Ressler, D.C., is a chiropractor located in Grand Rapids, MI. Techniques: • Sacro Occipital Technique • Thompson • Diversified • Gonstead Take the next step and contact Dr. John G Ressler, D.C., for a consultation in Grand Rapids, MI or to get more information. Amy L Wilcox, D.C., is a chiropractor located in Grand Rapids, MI. Techniques: • Diversified • Activator Methods • Thompson • Palmer Package Take the next step and contact Dr. Amy L Wilcox, D.C., for a consultation in Grand Rapids, MI or to get more information. John Ressler, D.C., is a chiropractor located in Grand Rapids, MI. Take the next step and contact Dr. John Ressler, D.C., for a consultation in Grand Rapids, MI or to get more information. Michael C Schpiro, D.C., is a chiropractor located in Grand Rapids, MI. Take the next step and contact Dr. Michael C Schpiro, D.C., for a consultation in Grand Rapids, MI or to get more information. Hanna Wassouf, D.C., is a chiropractor located in Grand Rapids, MI. Take the next step and contact Dr. Hanna Wassouf, D.C., for a consultation in Grand Rapids, MI or to get more information. Raymond P Meyer, D.C., is a chiropractor located in Grand Rapids, MI. Techniques: • Diversified • Cox • Nimmo • Activator Methods • Thompson Take the next step and contact Dr. Raymond P Meyer, D.C., for a consultation in Grand Rapids, MI or to get more information. David Felton, D.C., is a chiropractor located in Grand Rapids, MI. Techniques: • Palmer Package • Gonstead • Sacro Occipital Technique Take the next step and contact Dr. David Felton, D.C., for a consultation in Grand Rapids, MI or to get more information. George J Sloma, D.C., is a chiropractor located in Grand Rapids, MI. Techniques: • Diversified • Toggle Recoil • Thompson • Activator Methods • Flexion-Distraction • Gonstead Take the next step and contact Dr. George J Sloma, D.C., for a consultation in Grand Rapids, MI or to get more information. George Coroneos, D.C., is a chiropractor located in Grand Rapids, MI. Techniques: • Applied Kinesiology • Activator Methods • Gonstead Take the next step and contact Dr. George Coroneos, D.C., for a consultation in Grand Rapids, MI or to get more information. Mark Kline, D.C., is a chiropractor located in Grand Rapids, MI. Techniques: • Diversified Take the next step and contact Dr. Mark Kline, D.C., for a consultation in Grand Rapids, MI or to get more information. Brandon James Berg, D.C., is a chiropractor located in Grand Rapids, MI. Techniques: • Diversified • Activator Methods • Gonstead • Cox • Pro-Adjuster Technology • Flexion-Distraction Take the next step and contact Dr. Brandon James Berg, D.C., for a consultation in Grand Rapids, MI or to get more information. 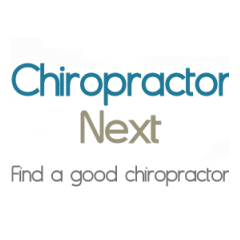 Wayne Wright, D.C., is a chiropractor located in Grand Rapids, MI. Techniques: • Applied Kinesiology • Cox • Diversified Take the next step and contact Dr. Wayne Wright, D.C., for a consultation in Grand Rapids, MI or to get more information. Kathleen A DeRosa-Belmont, D.C., is a chiropractor located in Grand Rapids, MI. Techniques: • Network • Activator Methods Take the next step and contact Dr. Kathleen A DeRosa-Belmont, D.C., for a consultation in Grand Rapids, MI or to get more information. R Daniel Doss, D.C., is a chiropractor located in Grand Rapids, OH. Techniques: • Activator Methods Take the next step and contact Dr. R Daniel Doss, D.C., for a consultation in Grand Rapids, OH or to get more information. Shelli Wood, D.C., is a chiropractor located in Grand Rapids, MI. Take the next step and contact Dr. Shelli Wood, D.C., for a consultation in Grand Rapids, MI or to get more information. Garth Aamodt, D.C., is a chiropractor located in Grand Rapids, MI. Techniques: • Palmer Package • Gonstead • Cox • Flexion-Distraction • Diversified • Manual Adjusting Take the next step and contact Dr. Garth Aamodt, D.C., for a consultation in Grand Rapids, MI or to get more information. Ryan Koolen, D.C., is a chiropractor located in Grand Rapids, MI. Techniques: • Diversified • Applied Kinesiology Take the next step and contact Dr. Ryan Koolen, D.C., for a consultation in Grand Rapids, MI or to get more information. Doug Mc Kenzie, D.C., is a chiropractor located in Grand Rapids, MI. Take the next step and contact Dr. Doug Mc Kenzie, D.C., for a consultation in Grand Rapids, MI or to get more information. Trent M Tilton, D.C., is a chiropractor located in Grand Rapids, MI. Techniques: • Activator Methods • Palmer Package • Gonstead • Applied Kinesiology • Flexion-Distraction Take the next step and contact Dr. Trent M Tilton, D.C., for a consultation in Grand Rapids, MI or to get more information. Daniel J Ohlman, D.C., is a chiropractor located in Grand Rapids, MI. Techniques: • Applied Kinesiology • Activator Methods • Cox • Network • Thompson • Torque Release Technique • NMT Take the next step and contact Dr. Daniel J Ohlman, D.C., for a consultation in Grand Rapids, MI or to get more information. Randal I Wilcox, D.C., is a chiropractor located in Grand Rapids, MI. Techniques: • Thompson • Diversified • Activator Methods Take the next step and contact Dr. Randal I Wilcox, D.C., for a consultation in Grand Rapids, MI or to get more information. Alan J Szagesh, D.C., is a chiropractor located in Grand Rapids, MI. Techniques: • Diversified • Flexion-Distraction • Gonstead • Thompson • Toggle Recoil • Activator Methods Take the next step and contact Dr. Alan J Szagesh, D.C., for a consultation in Grand Rapids, MI or to get more information. Eric B Lambert, D.C., is a chiropractor located in Grand Rapids, MI. Techniques: • Diversified • Activator Methods • Flexion-Distraction • Active Release Technique • Logan Basic Take the next step and contact Dr. Eric B Lambert, D.C., for a consultation in Grand Rapids, MI or to get more information. James Chapp, D.C., is a chiropractor located in Grand Rapids, MI. Take the next step and contact Dr. James Chapp, D.C., for a consultation in Grand Rapids, MI or to get more information. Brian Schneider, D.C., is a chiropractor located in Grand Rapids, MI. Techniques: • Thompson Take the next step and contact Dr. Brian Schneider, D.C., for a consultation in Grand Rapids, MI or to get more information. Andres Sampedro, D.C., is a chiropractor located in Grand Rapids, MI. Techniques: • Diversified • Thompson • Activator Methods • Cox Take the next step and contact Dr. Andres Sampedro, D.C., for a consultation in Grand Rapids, MI or to get more information.